Brook Farm, the first secular Utopian community to be established in New England, attracted the attention of most of the intellectuals in the area when it opened in 1840. 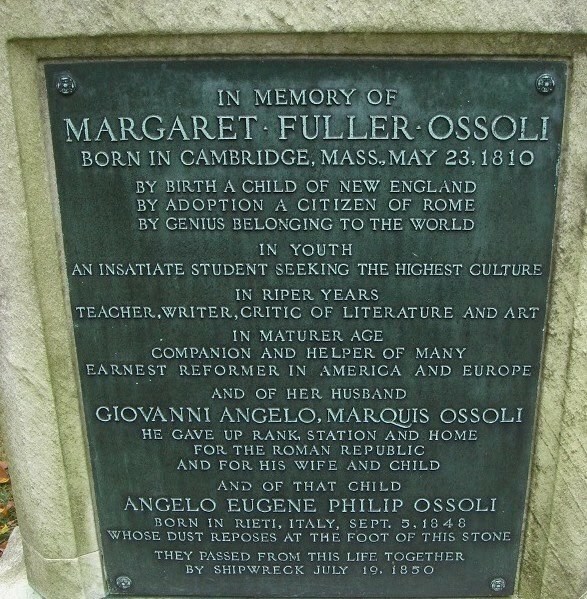 Margaret Fuller, already a well-known writer and lecturer was one of them. As a friend of Ralph Waldo Emerson, Bronson Alcott and others who supported the establishment of the community, she participated in discussions about whether a communal lifestyle would encourage people to write great books, paint beautiful pictures and develop an American culture. Many Americans wanted to develop a culture quite different from the European model. They did not believe that all art and culture should be created by aristocrats who did not need to work or earn money. The early 19th century was a time when many people were trying to discover how society could be structured to allow everyone to have a chance to become educated and creative even though they had to make a living. 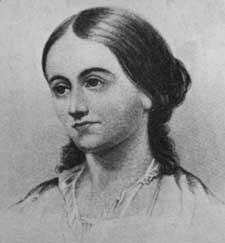 Margaret Fuller toyed with the idea of joining Brook Farm as a member. Living in a community like that would free her from the necessity of supervising a household for herself and her mother. The reaction of Brook Farmers to Miss Fuller was mixed. Many of the young women considered her a model for what a brilliant woman could make of her life, but others (especially, perhaps, the young men) thought she was arrogant and talked too much. Some of them even called the most obstreperous cow in their barn the Margaret Fuller heifer. In the end, Fuller decided she needed solitude to pursue her own work, but continued to visit often. She was determined to make her mark in the world, and she succeeded. She became one of the most influential literary figures in New England. Then she moved to New York to write for the New York Tribune. Later she traveled to Europe as a reporter and became a friend of men who were plotting revolutions in several countries. Fuller’s book Women in the Nineteenth Century was considered revolutionary. She urged women to find their voices and express their own ideas. The book influenced women around the country and even though Margaret Fuller herself died at the age of 40, her work bore fruit in the early feminist movement. Elizabeth Cady Stanton and Susan B. Anthony were among the women who read her works and tried to follow her path. There are several good biographies of Margaret Fuller. The short, general biography that I wrote called Margaret Fuller: an Uncommon Woman is available at amazon.com.